This post was inspired by my friend and fellow Sweat Pink ‘er, Melissa Burton who put together a list of the women worth meeting at BlogFest 2014 as a special edition of her Friday’s Featured Female series. As I count down the weeks until BlogFest, I decided to start putting together a list of everyone that I am just so excited to meet – of course, in no particular order. 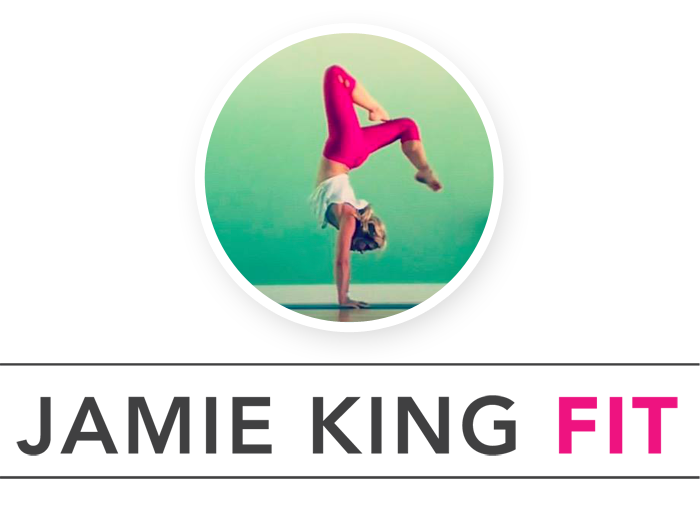 Annmarie (The Fit Foodie Mama): I feel like I already know Annmarie so well from all of our social media interactions. She’s an awesome Sweat Pink sister who has a knack for creating beautiful recipes for people with any dietary requirements. I often find myself perusing her blog for dinner inspiration! I also love that she’s into running and wine, a girl after my own heart. Follow her on Twitter @FitFoodieMama. Jamaica, Rarax3: Ok, I’m not gonna lie but from when I first met Jamaica online, I instantly had a girl crush. First of all, we share a pretty badass last name 😉 and second, I swear this woman was born to rock print pants. She has the BEST workout pants. EVER. I am obsessed. Aside from last name sharing and her amazing print pants collection, she also loves to run, travel and workout (so we have that in common too!). And most importantly, a smile that radiates positive vibes so I know we’re gonna get along. Follow her on Twitter @itsrarax3. Deanna, Live Fit Girls: Deanna has been living and breathing fitness since before she could crawl! She started teaching group fitness at the tender age of 16 and saw how it changed people’s lives and inspired them to live more fully. She turned her passion for fitness into a blog and her efforts into becoming a fitness expert so she could inspire more people. I can’t wait to meet the woman behind all of the amazing workouts and recipes that I love to follow on Twitter and Instagram @LiveFitGirl. Jenn, Pretty Little Grub: I’ve always been a fan of Pretty Little Grub – from her recipes to race recaps to her beauty and makeup tips (lord knows I need all the help I can get with that!). From stalking her blog and catching up with her on social media, I have a feeling we’re going to get along famously and cannot wait to have a chance to hang with her this summer. Follow her on Twitter: @prettylilgrub. Megan, SkinnyFitALicious: Megan never ceases to inspire and amaze me – she is a fighter who has bounced back from multiple injuries and weight gain – to become the incredible athlete she is today. She lost over 80 pounds in 5 years through fitness and healthy eating and loves to share her journey with others. I am constantly in awe and inspired by this woman and cannot wait to meet her in July! Follow her on Twitter @skinnyfitlicious. Natalie Jill: Natalie is a total fitness and social media rockstar! She transformed herself from an over-stressed, overweight and depressed woman into an inspiring fitness model. She also knows a thing or two about building a brand using social media – and is an expert on all things Pinterest. Really looking forward to seeing her speak and meeting this fabulous lady! Follow her on Twitter @NatalieJillFit. Jessica Matthews, Fit Expert Jess: You could say that Jessica and I have already met; in fact, we’ve seen each other’s faces and heard each other’s voices over our computer screens. A few years ago, we were both guests on a running and fitness related Google Hangout series and I could tell right away that we would get along famously. Jessica is an ACE certified personal trainer and writer on all things fitness – you can check out her articles on Huffington Post, Shape.com, and various other outlets. Follow her on Twitter @FitExpertJess. Who are you most looking forward to meeting at BlogFest with #SweatPink 2015? Win a ticket to BlogFest with Sweat Pink! Oooh! Such fun to see who will be there. I am trying to arrange plans so I can make it there this summer! Would be amazing! OMG, Sandra, I really hope you can make it!! That would be so FANTASTIC. Pay special attention to my blog tomorrow… 😉 It might help. Thanks girl! I’m so excited to be going and cannot wait to meet you too!!! Thanks for the love, Jamie! You’ve singled out some pretty fabulous ladies. I had the pleasure of meeting Julie Luoong just 2 weeks ago and she is wonderful!